Football is a much beloved sport in Texas, but many people drink and drive during football season and police know it. Studies have shown that the number of arrests for alcohol offenses increases during football season. It is routine for Texas law enforcement officers to be aware of big game days, especially Super Bowl Sunday, and to increase enforcement in order to catch people who may be driving while intoxicated. An arrest for drunk driving during football season can significantly impact your future. It is important to consult with a DUI defense lawyer if you are charged with violating drunk driving laws so you can have the best opportunity to negotiate a plea deal or defend yourself against the charges. 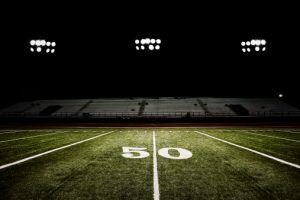 The U.S. National Library of Medicine from the National Institutes of Health published a study on the impact football season has on arrests for alcohol-related crimes. To conduct the study, researchers looked at a period of 30 days, including 10 game days, 10 “control” days and holidays. The researchers studied arrest records on those days in areas where there were Division 1 football teams that were performing well. Over the study period, there were a total of 944 arrests for alcohol-related crimes, including driving while impaired by alcohol. A significantly number of these arrests occurred on game days. In fact, on Sundays when football games were played, there were 70.3 arrests on average for alcohol-related criminal offenses. On non-game Sundays, which served as the control days, there were an average of 12.3 alcohol-related arrests. On holidays, which also tend to be times when there is a high amount of alcohol-use, there were 11.8 arrests. Based on this data, researchers were able to conclude that football season made a difference in the number of people arrested. Further evidence of this was found in the fact that arrests that occurred on football days tended to occur closer to the football stadium in general when compared with the arrests that occurred on holidays or on the control group non-football Sundays. This football season, it is important to remember that the police will be out looking for people who are driving drunk, and that law enforcement officers are especially vigilant for signs of intoxication at the times when football games end and people drive home. Whether you are attending professional or college games or simply going to a friend’s house to watch the game, you should ensure you have a designated driver in place to take you home before you begin to consume alcoholic beverages. If you are pulled over and accused of intoxicated driving during football season, you need to know your rights. Police must have reasonable justification for stopping your vehicle and for requesting you to submit to a test of your blood-alcohol concentration. An experienced attorney can help defend your rights as we fight to keep a criminal conviction off your record. Call Joseph LaBella & Associates today at 800-395-5951 to speak with a Houston DUI defense lawyer. This entry was posted on Thursday, August 21st, 2014 at 1:45 pm and is filed under Drunk Driving. You can follow any responses to this entry through the RSS 2.0 feed. You can leave a response, or trackback from your own site. © 2013 by Amanda Webb - DWI Lawyer. All rights reserved.